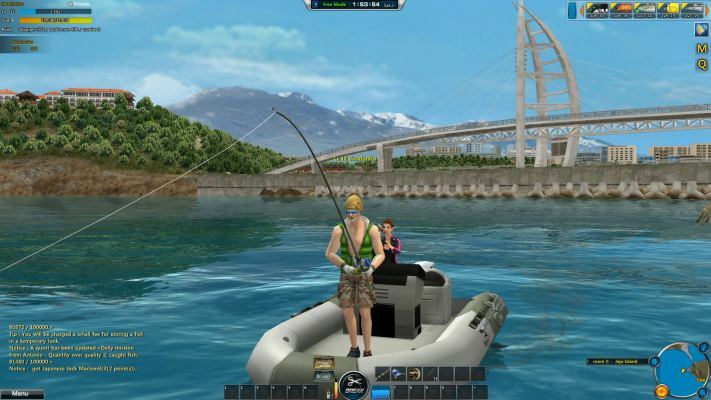 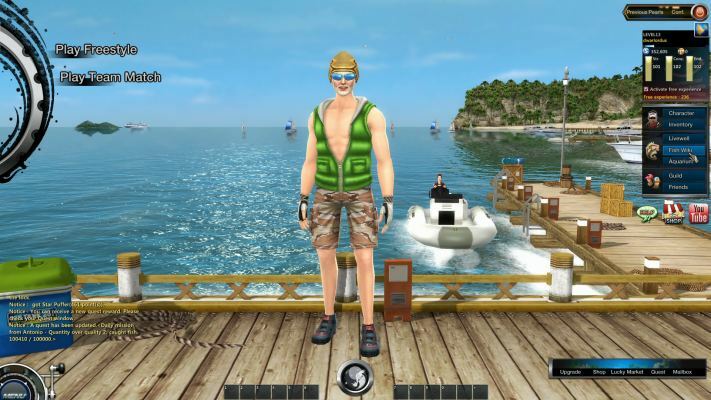 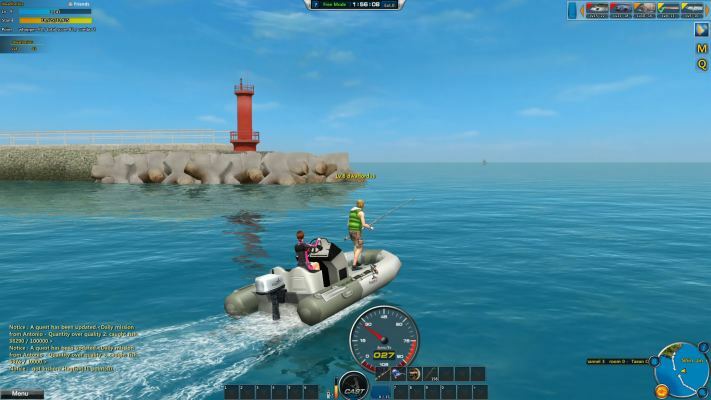 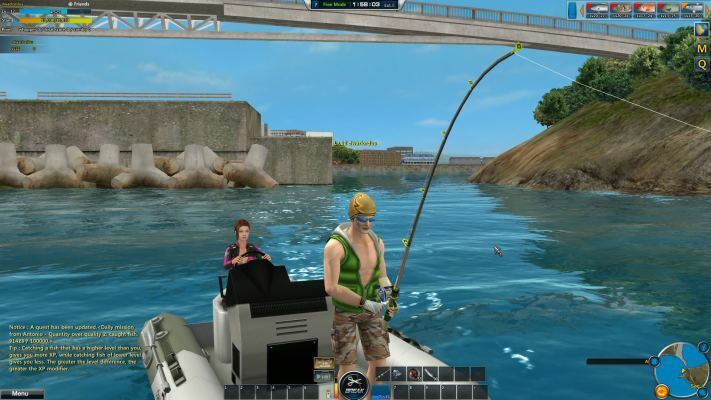 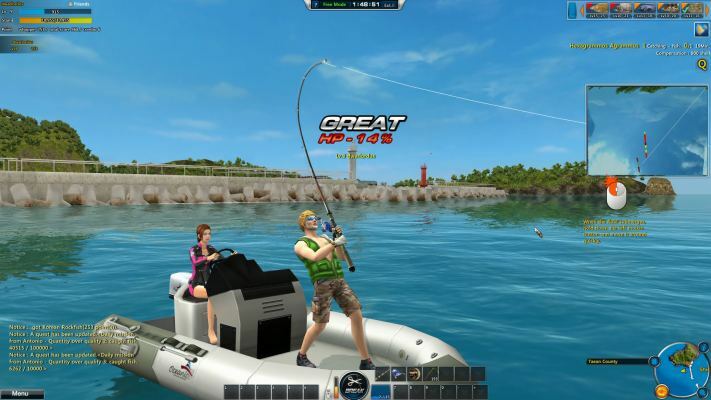 World of Fishing is a Free to play (F2P), Fishing simulation Multiplayer Game (sport game) featuring addiction hunt for rare fish. 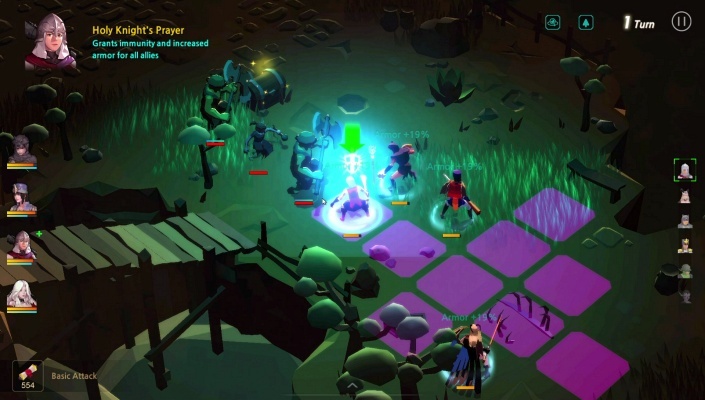 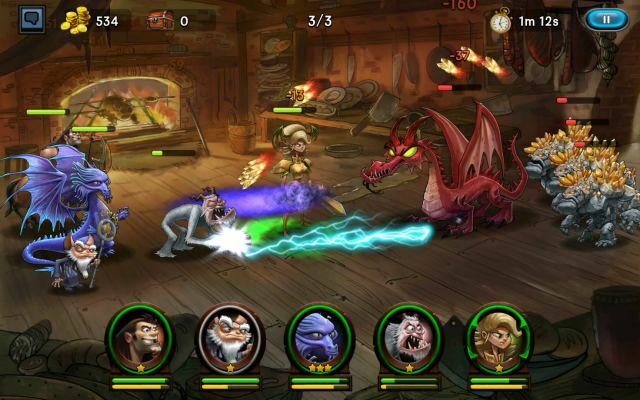 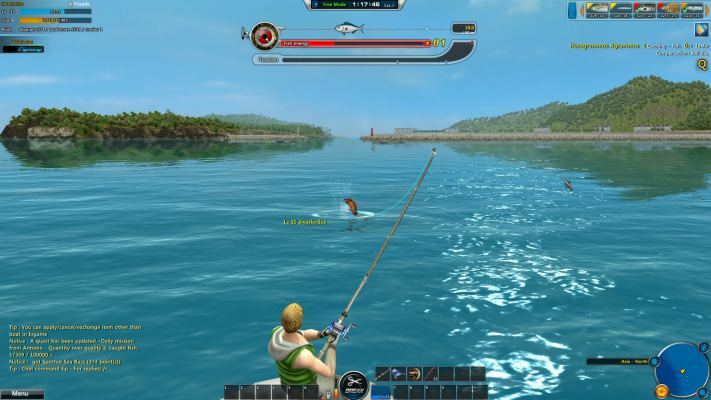 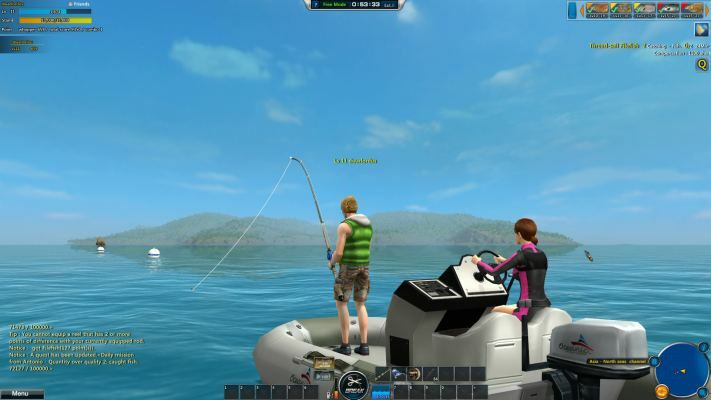 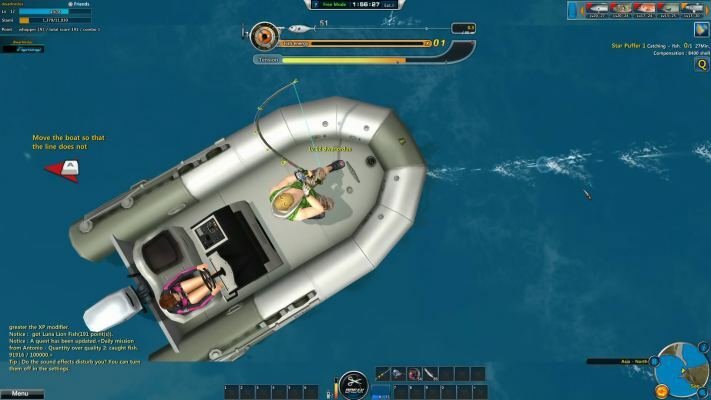 World of Fishing is a 3D Fishing Simulation MMO that combines traditional MMORPG Elements such as character development, leveling, quests and the hunt for the perfect gear and equipment, with a realistic yet accessible Fishing gameplay mechanic that attracts casual players and core gamers alike. 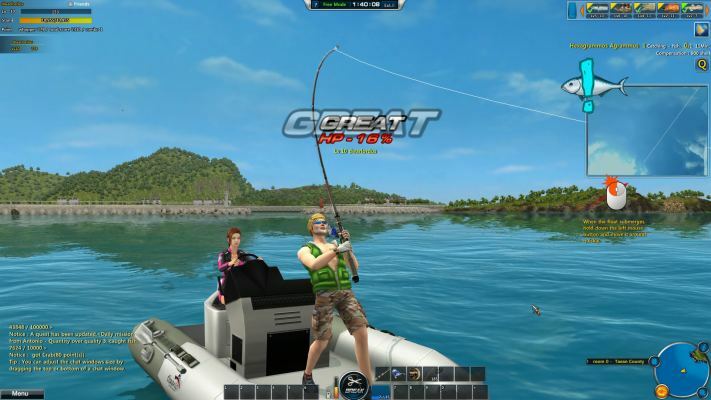 Thousands of players are fishing for over 360 species all with sophisticated AI in locations around the world such as North America (Vancouver, San Francisco, New York), South Africa and Asia (Thailand, Seoul, Japan) with more to come. 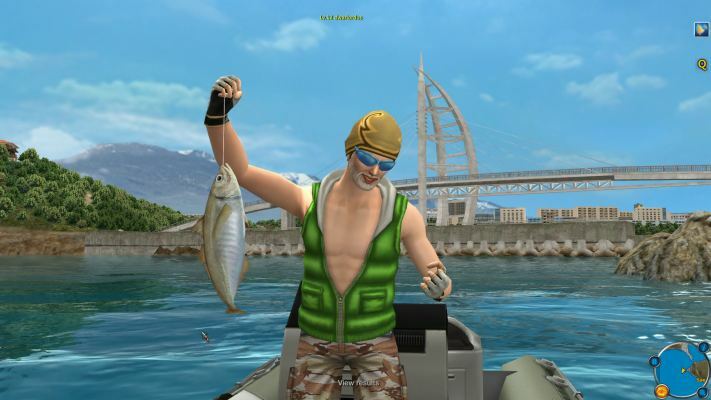 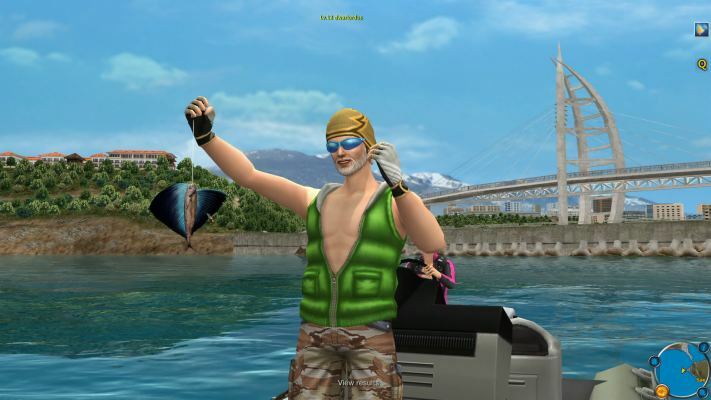 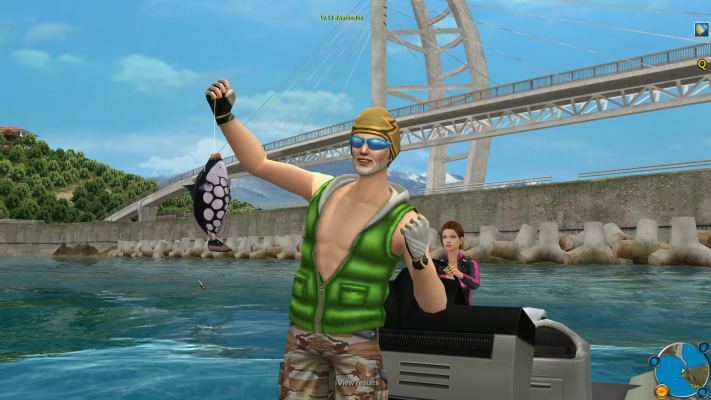 Virtual fishermen chat with their peers, team up in clubs or compete in tournaments to show their success in rankings. 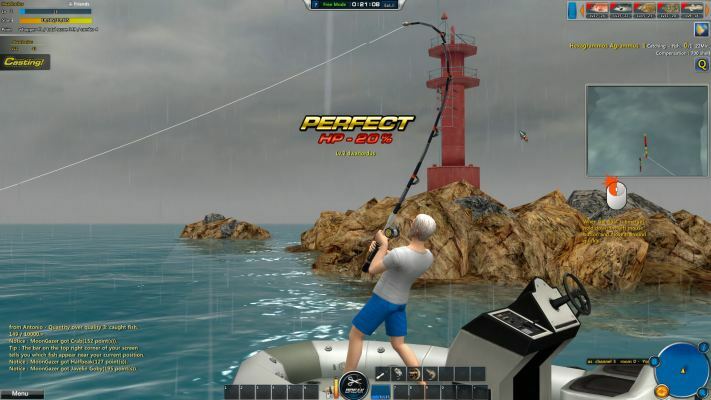 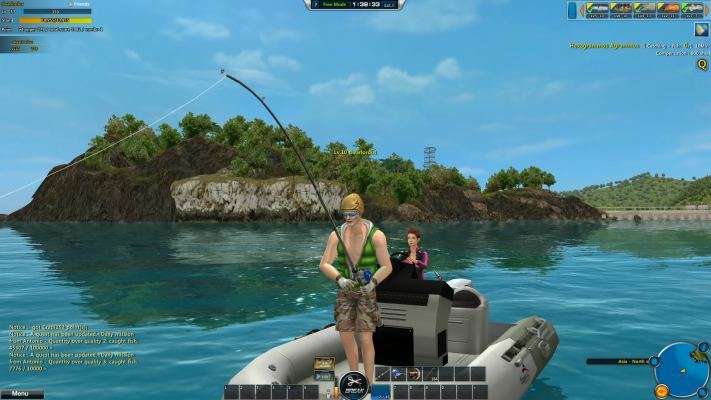 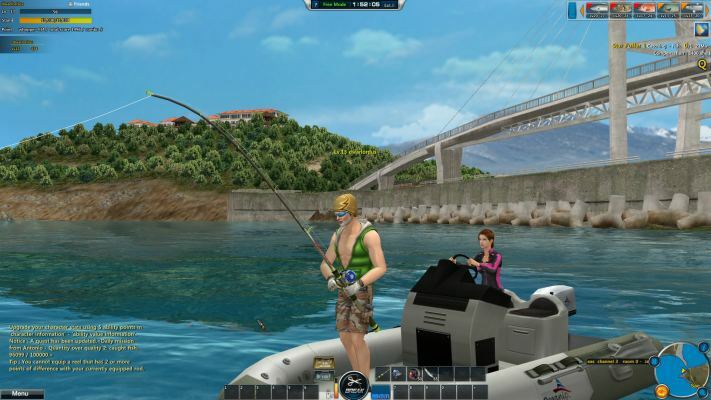 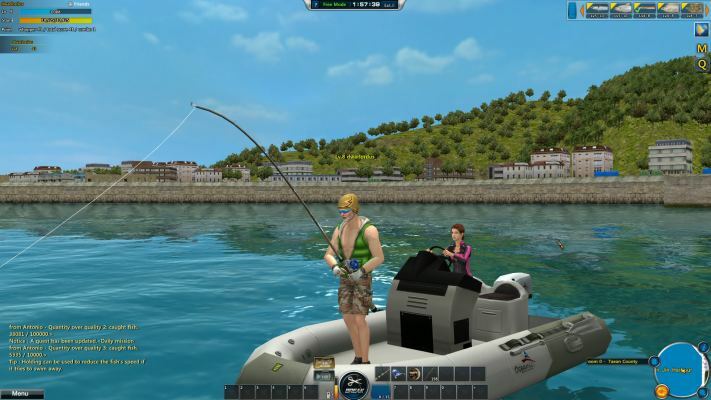 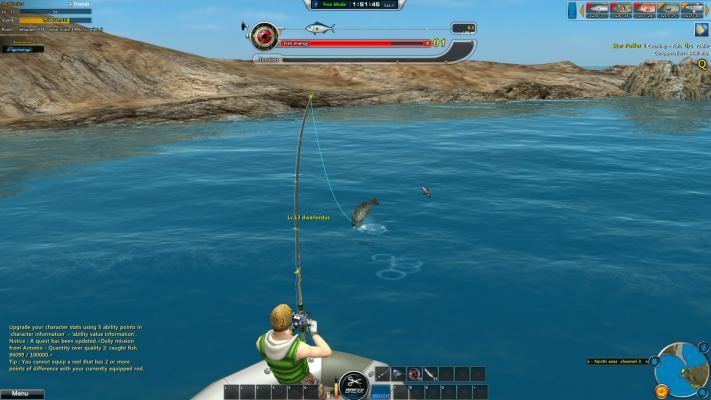 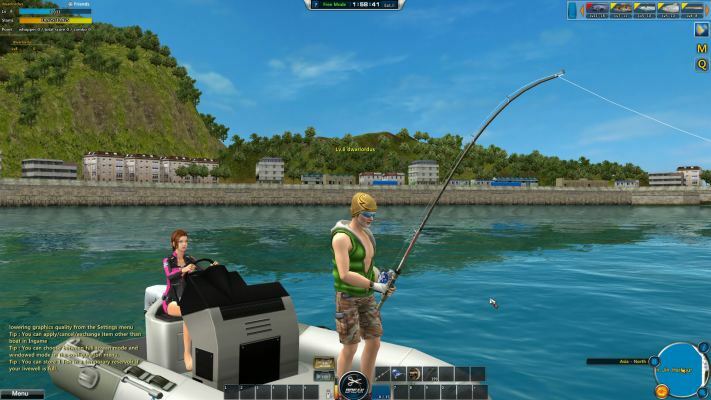 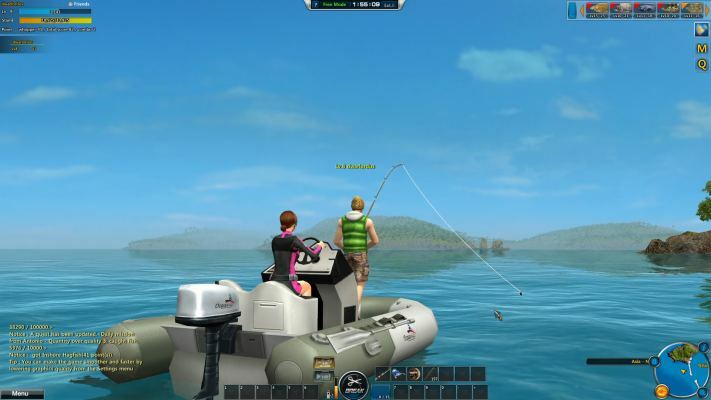 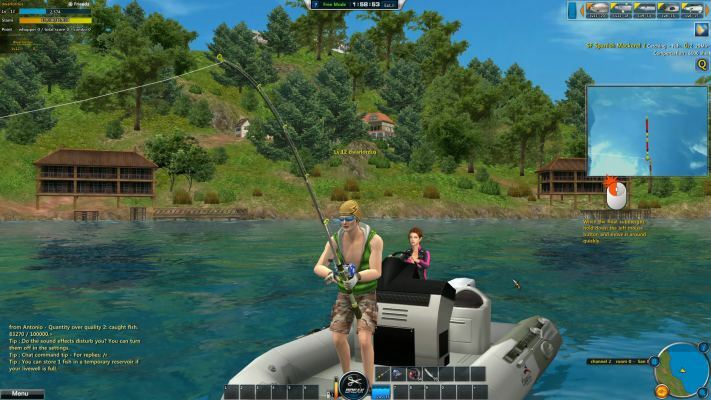 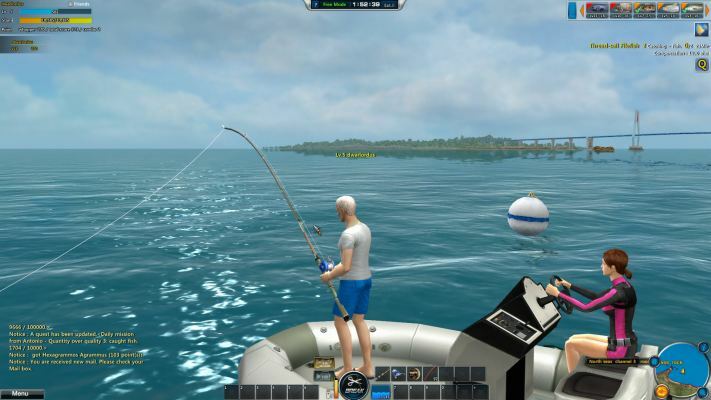 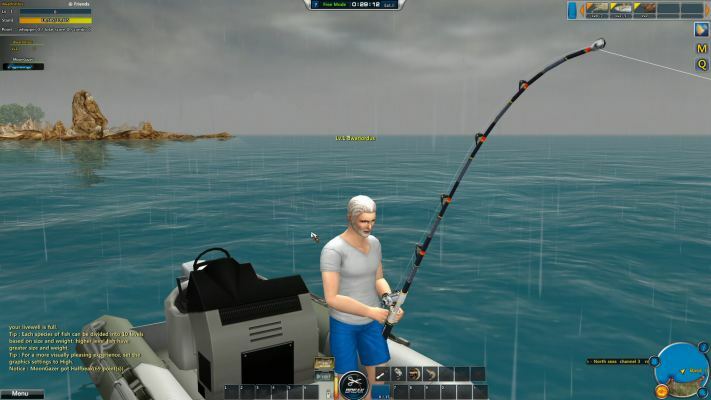 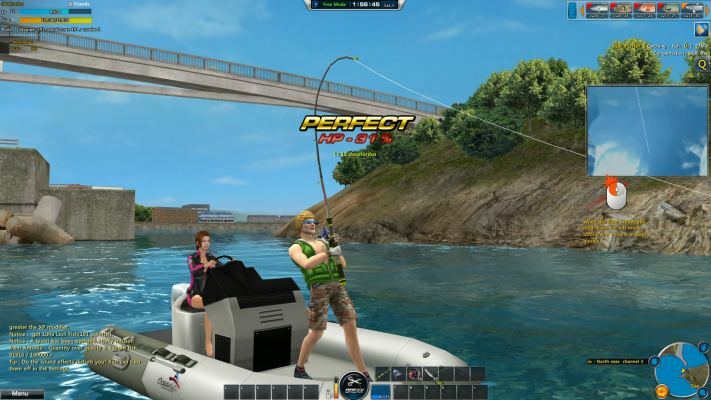 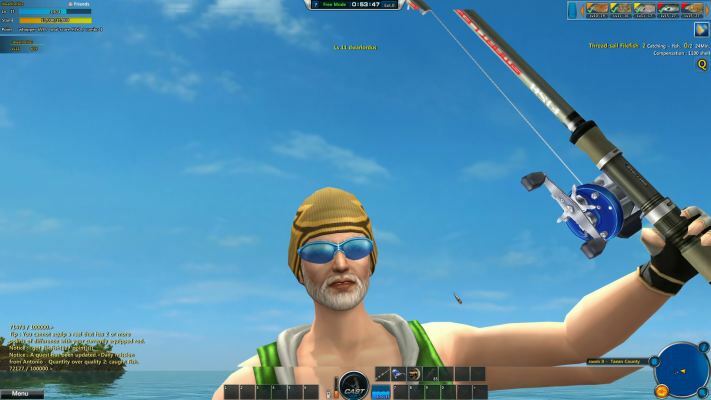 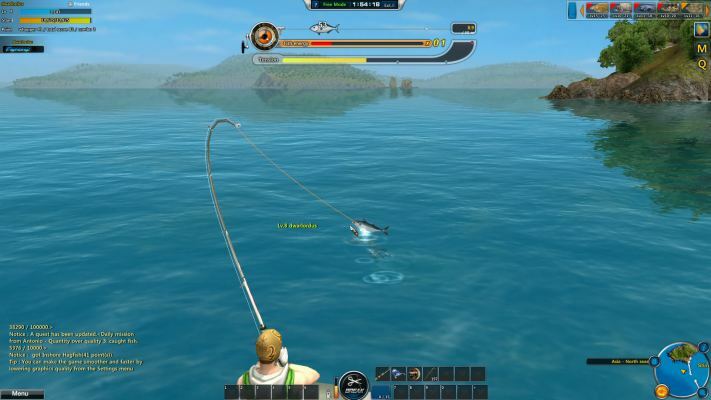 World of Fishing is a free to play PC client game for Windows. 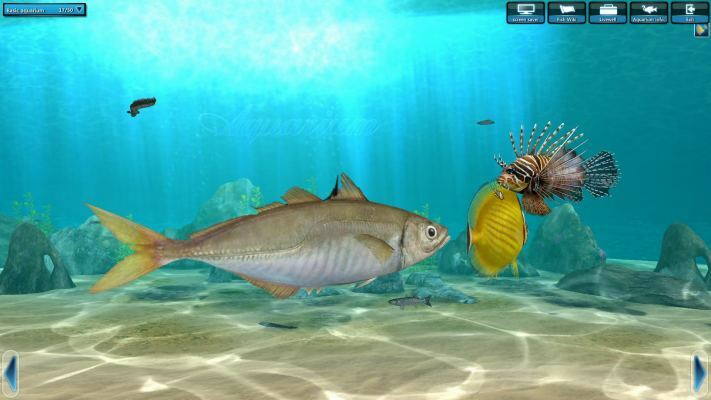 When you catch a fish, you can choose whether to release it or to store it in your water tank. 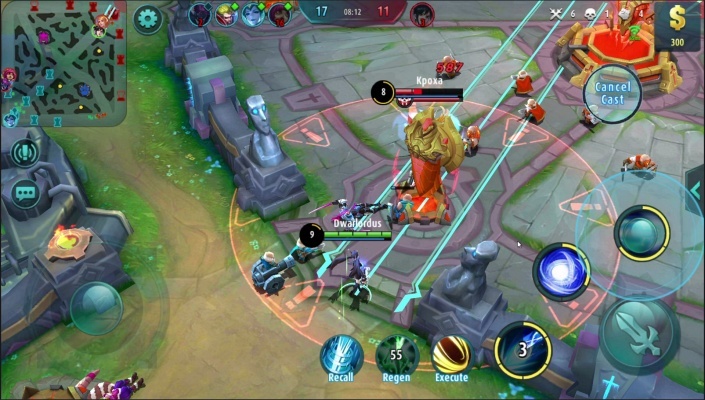 You can access your water tank from the menu. 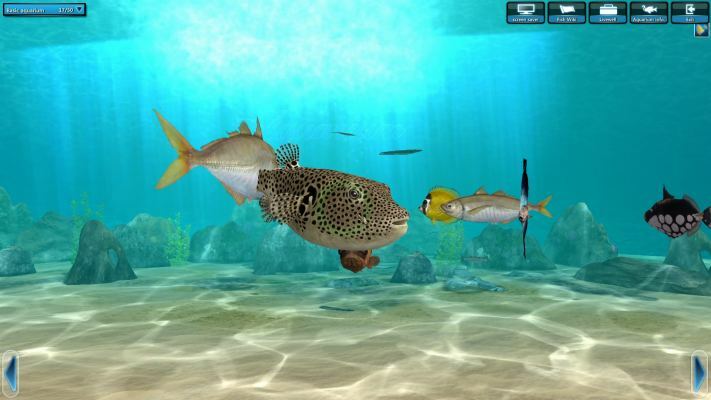 The fish in your water tank can either be sold for shells or put into your aquarium. 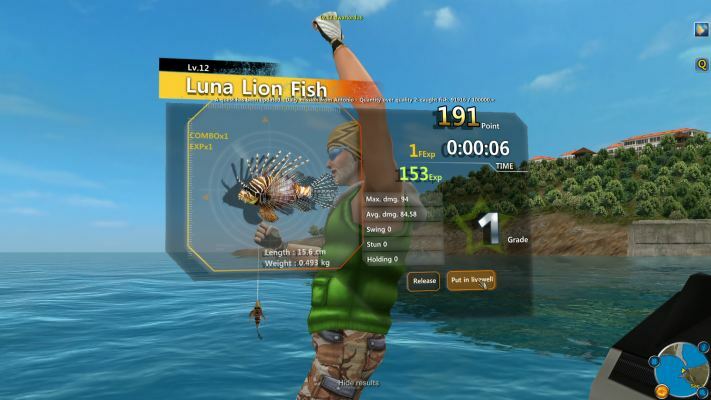 In your aquarium you and your friends can admire the big and beautiful fish you caught.